Commuting the death sentence awarded to a convict to life imprisonment, a Division Bench of the Delhi High Court has laid down guidelines and collated the existing procedure with regard to appointment of Probation Officers and the procedure to be followed by them. These guidelines have been directed to be mandatorily adopted by the Courts before the sentencing hearing, upon conviction for commission of offence which is punishable with death penalty. 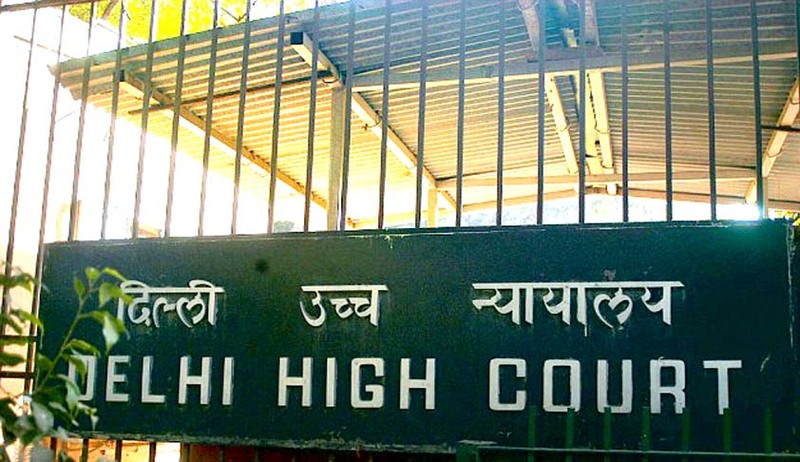 The bench, comprising Justice Gita Mittal and Justice J.R. Midha has directed the Secretary (Home), Delhi Government to examine the issues highlighted by the Court with regard to pre-sentencing report submitted by a Probation Officer as well as the Delhi Probation of Offenders Act, 1960. A report has been directed to be submitted within four weeks. The matter has been directed to be listed on December 18 for consideration of the report to be submitted by the State. The Court was deciding a reference under Section 366 of Cr.P.C. made by the Additional Sessions Judge for confirmation of death sentence imposed on the accused, Mithlesh Kumar Kushwaha for commission of offence under Section 302 of the IPC. Kushwaha was convicted for the murder of two members of a family, a woman aged 62 years and a child aged 12 years. The accused had also committed robbery after murdering the two and had concealed evidence of commission of the offence. Kushwaha, who was working as a domestic servant in the house for six and a half years, was also found guilty of attempting to murder the 14 year old girl in the same house and criminally intimating her. The High Court analyzed various points of law in the 206 page judgment. The Court confirmed the conviction but went on to examine the various aspects involved in the sentencing policy adopted by Courts in the country. Challenging the sentence awarded to him, Kushwaha had argued that the case did not fall under the category of rarest of rare cases in order to invite a death penalty, as laid down in the case of Bachan Singh v. State of Punjab, (1980) 2 SCC 684. He demanded that his impoverished background should be taken into consideration while awarding a sentence. The Court had appointed Dr. Mrinal Satish, Professor, National Law University, Delhi, as amicus curiae, who submitted submissions on the question of death sentence as well as on the aspect of appointment of a probation officer to submit a pre-sentencing report before the court. The Bench considered the “wide divergence in death sentence jurisprudence”, before elaborating on the appropriate sentence to be imposed on the convict. It considered the background of the 28 year old convict, who was 20 at the time of commission of the offence. His family in his home village Hariharpur, Distt. Sitamarhi, Bihar was of impoverished means. He had no formal educations and had been working as a domestic servant. In the light of the evidence of his being economically deprived, the Court observed that it was not possible to hold that Kushwaha was incapable of reform and rehabilitation. Death sentence, in this case, was hence considered to be against the law. However, the Court did agree that the crime was brutally committed and hence, 14 years imprisonment would be grossly inadequate in the present case. This was also because the complainant expressed grave and imminent threat to his family. The Court further considered the report from jail authorities which showed that Kushwaha had attended several Vipasana meditation courses organized in jail and was displaying social skills by imparting training to other people. The Court emphasized upon the importance of the exercise of considering such relevant factors about the convict, before determining the appropriate sentence in accordance with law. It also noticed that in the instant case, the Trial Judge had not heard Kushwaha on the issue of sentencing separately, even though it is mandatory upon the trial judge to hear the convict on the question of sentence before passing an order on the same. No prior criminal history was also taken into consideration by the Trial Court in order to ascertain whether Kushwaha had the propensity to become a social threat or nuisance. The Court further noted that the Trial Judge had failed to discuss the mitigating circumstances in the case and had neither taken into his background and antecedents, nor his socio economic background. The Court hence commuted the death penalty awarded to Kushwaha to rigorous imprisonment for life which shall be for twenty five years without consideration of remission of the sentence. All the sentences will run concurrently. Undertaking this exercise, the Court noted that the report of the probation officer in the present case lacked valuable inputs including the personal history of the offender, his behavior and habits, family relations, physical and mental history, school and employment history. This is despite the fact that a pre-sentencing report by a professionally trained probation officer is an extremely valuable tool for the court for assessing the possibility of reform and rehabilitation of a person accused of a capital offence. Furthermore, the Probation Officer was “visibly” influenced by her interaction with the complainant and his family. The Court termed the prejudice displayed by the PO as impermissible and unprofessional. The bench however refrained from blaming the PO as neither did she have the necessary qualifications nor the training to render the requisite assistance to the courts. The Bench emphasized the importance of pre-sentencing reports before imposing death sentences. It noted that lack of any legal framework provided in the Code of Criminal Procedure to enable courts to gather relevant material for this purpose. (a) Is there a probability that, in the future, the accused would commit criminal acts of violence as would constitute a continuing threat to society? (b) Is there a probability that the accused can be reformed and rehabilitated? (ii) Adequate time frame should necessarily be provided to the Probation Officer to conduct the investigation. (iii) The concerned authority should ensure that the PO has no relationship or connection to the accused, complainant, witness or subject matter of the case. (iv) In case of the offender being a female, assignment may preferably be made to a female PO in a female only environment. (v) Expenses of the PO: The State, through the Secretary, Home Department, GNCTD will make appropriate arrangements and reimburse the expenses incurred for the PO to comply with the directions issued in this judgment. (vi) Expenses of the PO appointed by the court under Section 13(c) of the PO Act or any other provision shall be determined by the court and shall be paid by the State upon details being directed by the court. All PSRs must be factual, independent and free from bias as far as possible. Enquire from the jail administration and seek a report as to the conduct of the accused in the entire period spent in jail. The jail authorities will extend their full co-operation to the PO in this regard. Shall mandatorily hold a private interview with the convict. In light of the fundamental right against self-incrimination in Article 20(3) of the Constitution, the offender must be informed of his/her right to silence. As a result, in no circumstance can any adverse inference be drawn if the offender refuses to give an interview to the PO. Further, it is advisable to allow the counsel to be present during the interviews with the accused. Shall mandatorily conduct a home investigation; meet the family of the accused and the local people even if it requires travelling to the place from where the accused hails. PO shall gather information from family, friends, relatives and associates of offender. He will seek their inputs on the behavioral traits of the accused with particular reference to the two issues highlighted. The PO shall verify the inputs given by the convict during the home visit. The PO shall consult and seek specific inputs from two professionals with not less than ten years' experience from the fields of Clinical Psychology and Sociology. Meet the victim/complainant and seek his/her/their inputs in the matter. In case, the complainant/victim is not in a position to assist the probation officer, inputs may be obtained from the guardianship/caregiver/friend who is giving the requisite care. The PO should not give undue weight to the information and ignore the presence of other aggravating or mitigating factors. If information received from other sources is contradictory to or inconsistent with the information received from the offender in his interview, the offender should be interviewed a second time with the contradictory information put to him; he should be given a chance to respond to the same and his answers should be recorded in the PSR. All information in the PSR should be classified as verified/corroborated or unverified/alleged. If any statement is an opinion of the PO and not based on facts, it should be so stated clearly. (xii) More information than necessary for the purposes of making the sentencing decision should not be collected. The probation officer, if directed, may collect all the information on the ability of the offender and his family to pay monetary penalties/compensation. The PO may ascertain convictions, if any, during the trial and mention them in the PSR. (xv) The utmost standards of confidentiality of PSR should be maintained. As held by this Hon‘ble Court in Bharat Singh, PSRs must always be given in sealed envelopes to the Court, and copies made must also be put in sealed envelopes before being given to the parties. The parties must be directed to maintain complete confidentiality regarding the contents of the report. The copy of the report shall be given by the trial court to the convict as well as counsel for the prosecution who shall maintain confidentiality of the document. The accused or his counsel must be provided with a copy of the PSR, preferably prior to the hearing, so as to be able to formulate objections and respond to the facts, inferences and/or recommendations made in the PSR. The counsel for the accused/convict shall be permitted to make submissions on this report. There is a dire need for the creation of a training and supervision body for POs; this to not only ensure they are given adequate training, much needed in delicate cases such as these, but also to ensure accountability, monitoring and supervision of the final report and its quality. Until such legal framework is put in place, it is essential that the court exercise discretion in deciding who shall be the PO in any particular case, with regard to the need for skill and expertise. Towards the same, the court has the power to appoint any person as a PO under Section 13 of the Probation of Offenders Act, 1958, and need not only select from pre-existing and designated POs. It has been noted in other jurisdictions that Pre- Sentence Investigations and Reports often have a discriminatory and unequal impact on certain groups. To reduce or eliminate such biases in the preparation of PSRs, the court must always exercise its discretion and review the Reports carefully to exclude unverified information and opinion-based conclusions of the PO.